Stagnation of gallbladder affecting the stomach causing accumulation of phlegm heat in the interior. Symptoms can include dizziness, vertigo, headache, nausea, vomiting, poor appetite or digestion, anxiety, insomnia, irritability, depression, chest or costal oppression or palpitation. Seizure disorders marked by frothy phlegm. Hepatitis, gastritis, digestive fullness and chronc gallbladder inflammation. 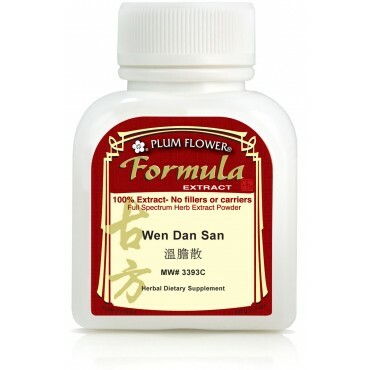 Useful in the treatment of obesity are some of the imbalances satisfied clients have used this product for.